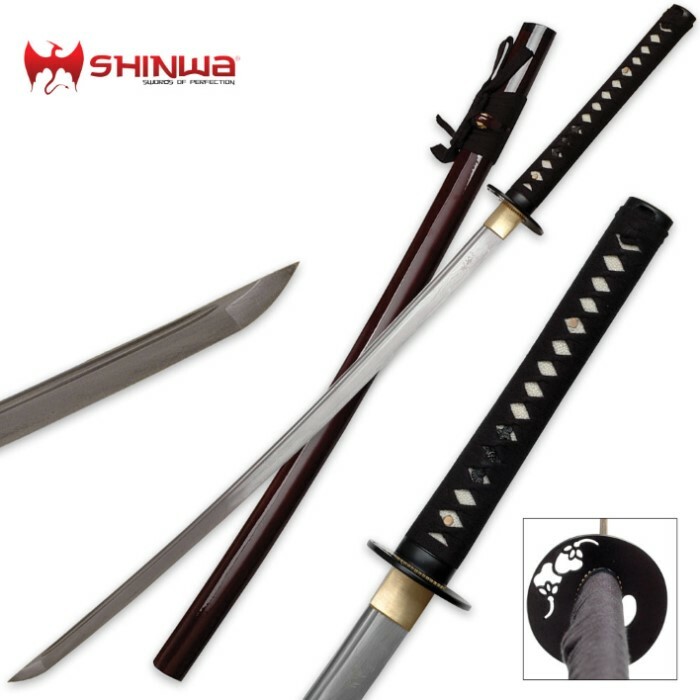 The Blossom Samurai Sword is one of those pieces that just feels right to hold. 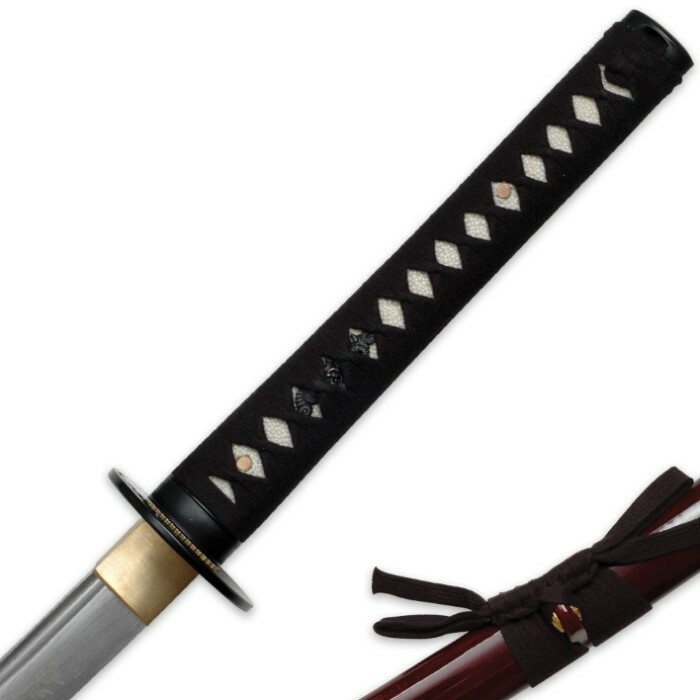 Graceful yet deadly, this katana is crafted with a smooth sided tsuba, traditional construction method, and a highly sharpened handmade Damascus blade. Full tang, fully functional, battle ready katana. High carbon steel Damascus blade. Hand honed sharp cutting edge. Real ray skin handle with nylon wrapping. 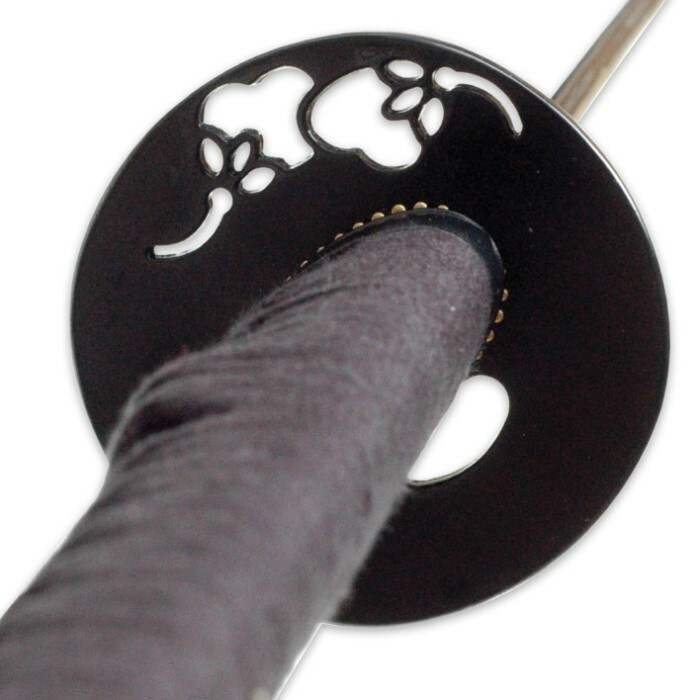 All metal tsuba (guard) with traditional artwork. Hardwood scabbard with high gloss lacquered finish and matching wrap. Measurements: 27 1/2 in. blade, 40 1/2 in. overall. For more than 2600 years, the "City of Treasure Sword", Longquan, is known for making the best swords in the world. Located within the border of South Zhejiang, and under the Fengyang Mountain, Longquan is rich in resources which are ideal for crafting swords. During the period of Warring States (770-476 B.C. ), a famous sword maker named Ou Yezi created the most renowned sword in Longquan. Since then, the secret arts of crafting swords have been passed down from generation to generation. Ten Ryu swords are hand forged by master craftsmen with years of experience from Longquan. These master sword smiths combine modern knowledge with traditional secrets to produce superior quality swords known for their durability, sharpness, and exquisite craftsmanship. Click here for more Ten Ryu swords.